Whether you're a commercial beekeeper or a Beginner in need of protection from bees this is the suit for you! 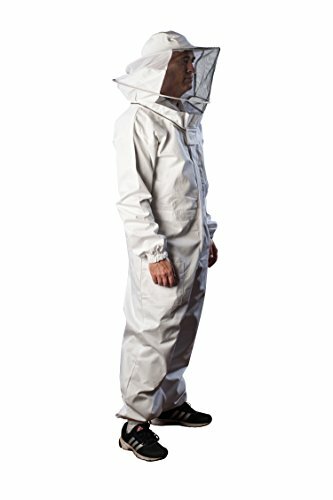 This suit is equipped with heavy duty front and neck zippers with a Velcro closure flap where the two sets of zippers meet to offer additional protection. 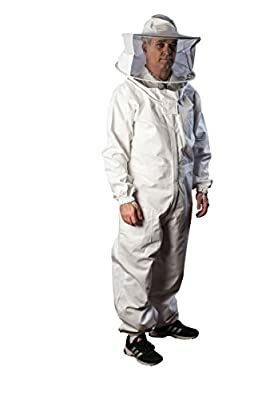 In addition it has 3 pockets 1 at the chest and 2 open pockets near the hips) This suit has elastic at the wrists and ankles for extra protection but also features heavy duty zippers at the ankles for ease of putting on and taking off. The self-supporting collapsible hood on this suit has two layers of fabric on the back of the hood offering you an additional layer of protection to the back or the head. This suit is manufactured with 100 % premium Cotton Blend. 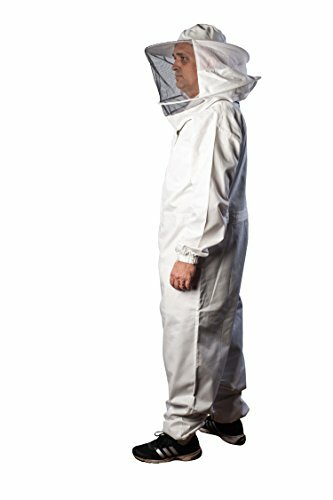 Bee Suits are specially tailored for the hard working beekeeper, Breathable 100 percent cotton Our 100% cotton Master Beekeeper suit has 12 inch leg zippers, gusseted crotch, elasticized wrist, double ended main zipper, 3 front pockets, two hive tool pockets, a breast pocket with pencil holder. 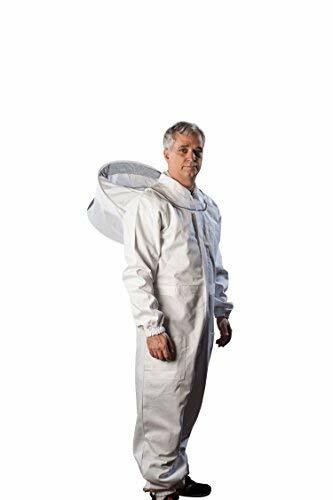 Our suits are sting resistant, not string proof but unless your bees are worse than African bees, we invite you to give our suits a try. 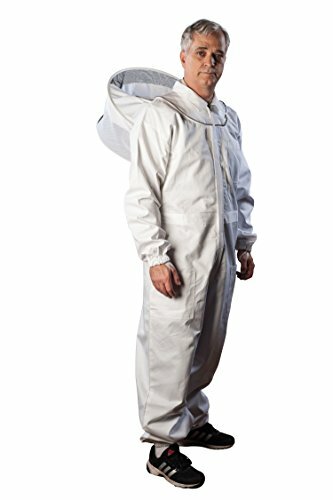 Master Beekeeper Suit with zip The suit is generously sized for beekeepers, giving them extra room when bending and twisting. The Hat/Veil combo and suit are machine washable in cold water, line dry only.